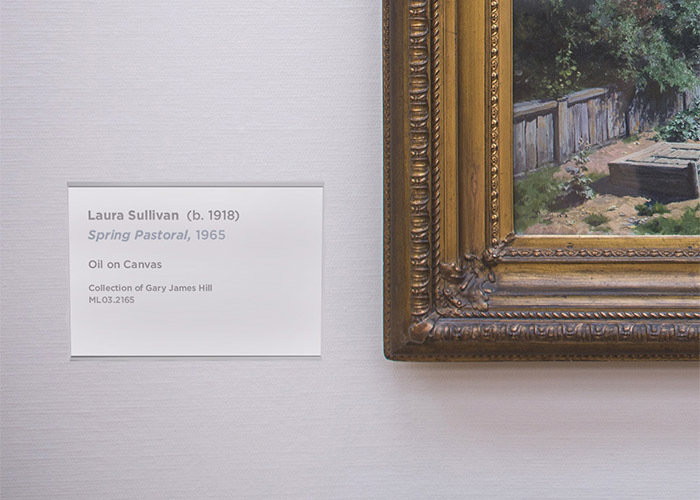 Both MuseumRails and MuseumSigns offer a wide variety of solutions for displaying information to visitors and guests. 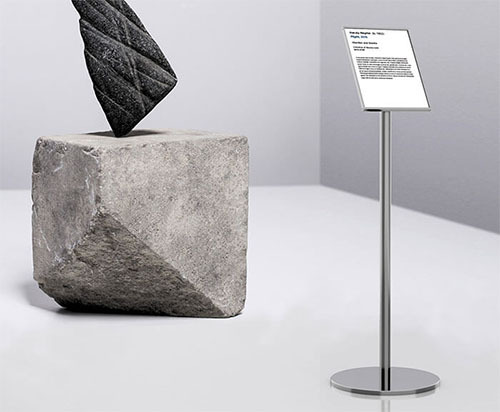 From the simple and sleek options available through MuseumSigns to the customizable flexibility of MuseumRails’ modular system, there is something for any type of information display need. 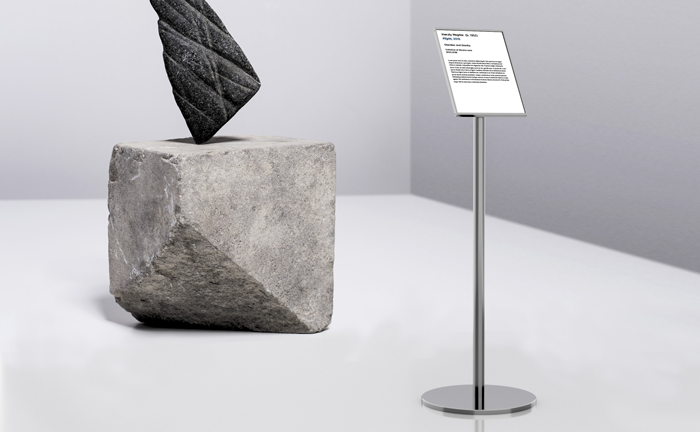 Now part of the 10-31 family of companies, MUSEUMRAILS™ is a refined system of modular rail components consisting of weighted bases and posts, support brackets, and a choice of easily changeable graphics panels. 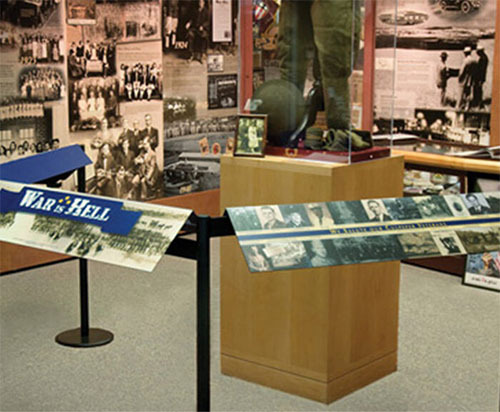 MuseumRails offers a custom appearance, yet is still flexible, easily reconfigurable, and an infinitely reusable solution to many exhibit requirements for interpretive rails and visitor separation. MuseumRails was introduced at the AAM Conference in Philadelphia in 2009 by Michael Remorenko. 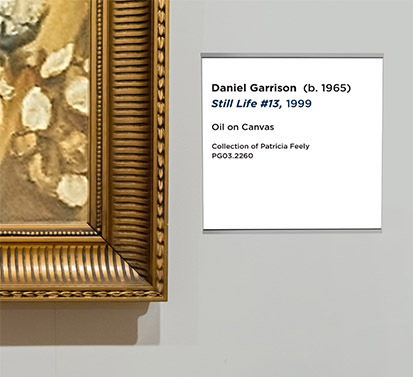 In the ensuing years the company partnered with museums, institutions, and corporations across the country. In 2017, 10-31 bought the company with plans to not only continue the existing product line, but to also evolve, diversify, and expand the system. 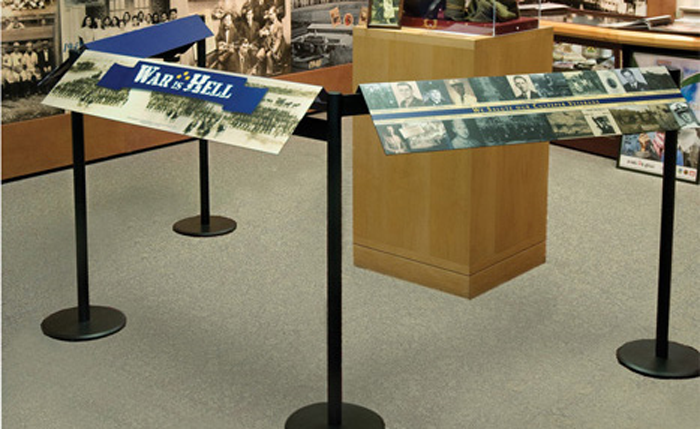 MuseumRails weighted base and post along with customizable graphics rails allow for a wide variety of information display options. The interchangeable graphics rail accepts mounted graphics on a variety of substrates. A clear acrylic panel allows user-generated graphics to be inserted and changed out as needed. The flexibility of the interchangeable rail allows for the insertion of back-lit LED panels, and custom fixtures such as interactives, small artifact vitrines, notebook fixtures, and literature holders. 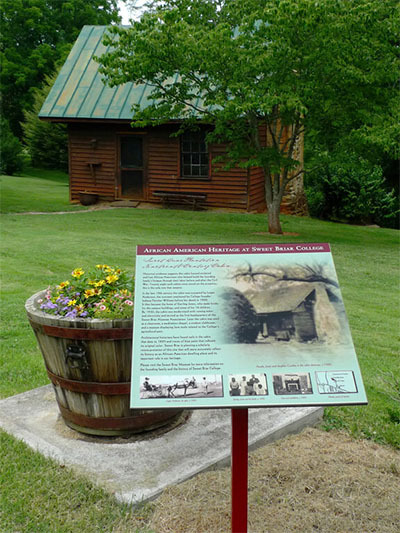 MuseumRails offers both custom and “standard” solutions for exterior signage. Our current offerings are powder coated aluminum/steel support fixtures, with phenolic graphic panels that come with a 10-year prorated warranty against delamination or significant fading. WHEN YOU NEED TO SAY SOMETHING. DISCREETLY. 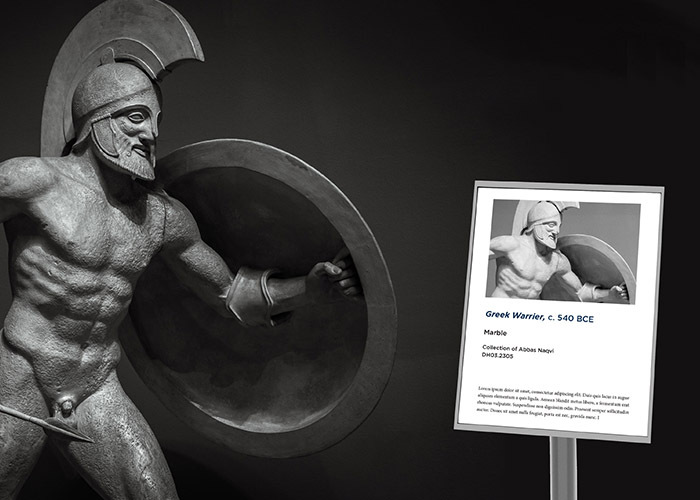 MuseumSigns is one of the most discreet and versatile signage systems available for both museum and retail markets. 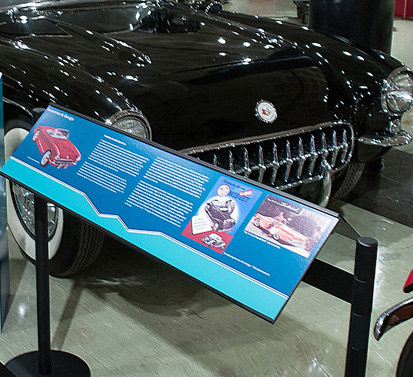 Our low profile anodized aluminum signage plates are the perfect complement for showcasing your exhibits with sleek simplicity. Various sizes and configurations include wall mounted, floor mounted, freestanding and our longer reader rail version. Use MuseumSigns throughout your facility for a consistently clean look and feel.